I want to buy a unique gift for a friend or loved one. How exactly do I do that? It’s actually pretty simple, but you do have a few choices to make. First, you can select your gifts from our online Gift Catalogue. When you find the gift you want, click to see the details, indicate the number you would like and click the add to cart button. Most items in our catalogue have a price listed for the gift. However, if you select our Where Needed Most or Emergency Response items, you will be presented with an option to fill in the amount you’d like to give before you indicate the number you’d like to purchase. What are my card options? Just by selecting an item from our Gift Catalogue, you will automatically gain access to an electronic copy of the appropriate gift card in PDF format. You can then either print this at home to give it to your recipient personally, or you can send an email with the card attached. Alternatively, you can send us a note when checking out that you would prefer to receive your card in the mail. We will ship you one card for each of gifts you purchase on our site. But please allow 3 weeks for us to process the donation and get your cards in the mail! If I buy a gift from the catalogue, does the item actually exist? Yes it does! Now, that being said, we don’t keep track of the individual items and which beneficiary received your particular gift. But each item in our gift catalogue represents actual items we need and use in our active and ongoing projects throughout the world. 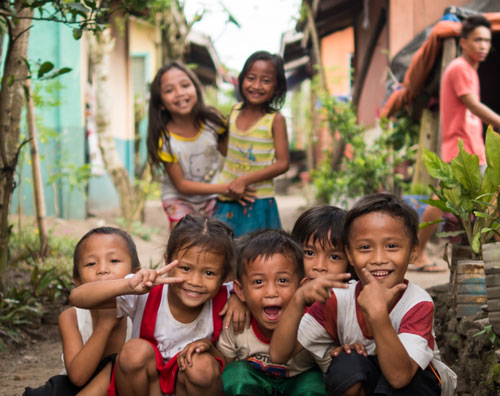 Your gifts contribute to the ongoing costs of these projects by providing the funding for the materials that go into the “shelter kit” or “water pump”. And yes, there is a Juliet, Agnes, or Tabilkhan out there who receives the benefits of your gift. I’ve selected a gift for a friend in the catalogue. Can they receive the tax receipt? No, the tax receipt can only be issued to the person or business that donated the funds. Can I still use the Gift Catalogue after Christmas? Absolutely! 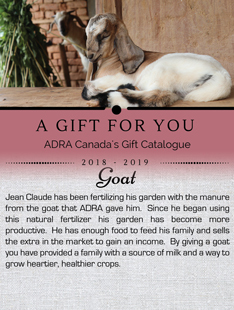 We bring out a new gift catalogue every year just before Christmas because we know many of you love giving your loved ones gifts that really make a difference. But there are so many other occasions where you might like to send a card or special gift. Birthday’s and weddings are some of our most popular celebrations.